Mr. John Hunting was there at the founding of the Council of Michigan Foundations, the first of Michigan’s philanthropic infrastructure organizations, representing the family foundation he had founded. He helped to launch the Council of Michigan Foundations, and then started additional private foundations in New York City. As a long time donor and volunteer leader, Mr. Hunting offers a unique perspective on Michigan both as a part of the state’s community and also as an engaged philanthropist in New York City. 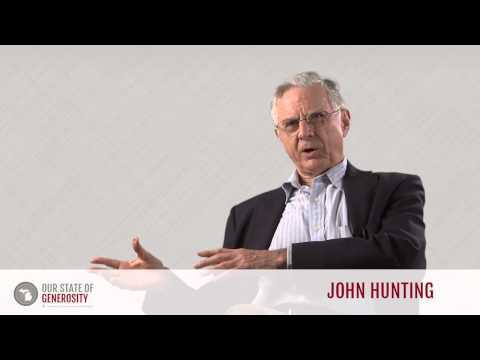 Mr. John Hunting talks about his career in philanthropy. 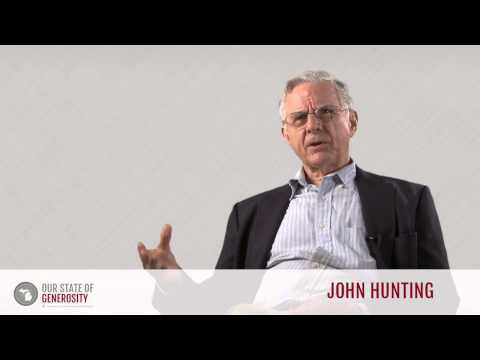 Mr. John Hunting talks about the importance of partisan dialogue among foundations. 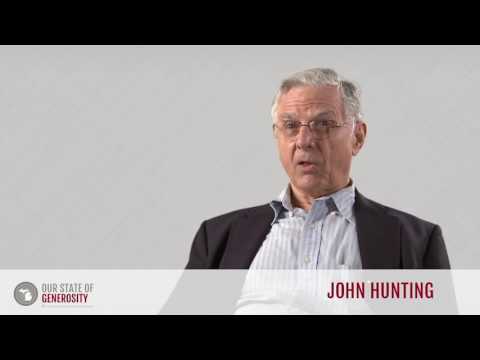 Mr. John Hunting talks about the importance of legal counsel in philanthropic advocacy. Mr. John Hunting talks about the original convenings that led to the development of the Council of Michigan Foundations (CMF). 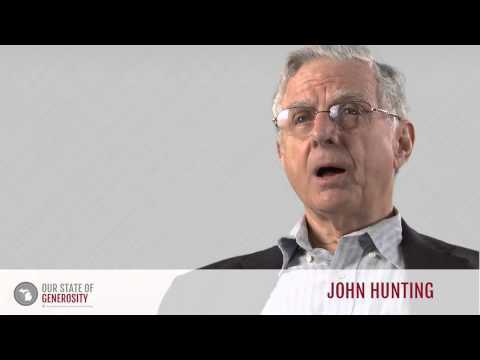 Mr. John Hunting talks about the personality dynamics between the original Council of Michigan Foundations (CMF) leaders. Mr. John Hunting talks about how fundamental the legislative agenda was to Council of Michigan Foundations' (CMF) success. Mr. John Hunting graduated from Denison University with a Bachelors of Arts in English. He then served two years in the U.S. Army. Upon his return, Mr. Hunting spent three years teaching English at Cranbrook private schools, which he had attended for his sophomore through senior years of high school. After this experience, he pursued a graduate degree at the University of Michigan, where he earned a master’s degree in education. Mr. Hunting then spent some time in New York City studying psychodrama, a psychotherapeutic technique that uses theatre as a means for exploring issues related to psychological well-being and enhancing creative problem solving skills among participants. Mr. Hunting was born and raised in Grand Rapids, Michigan. His philosophy of giving took hold at a young age, when he started receiving income from the trust that his father had set up for him through the Steelcase Corporation, and he began donating a good deal of the money that he was receiving. 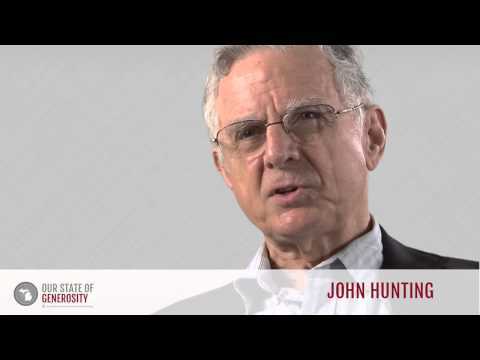 Mr. Hunting’s current formula for giving is contributing 50 percent of his annual income to 501c(3) charities and non-profits, paying his taxes, retaining his expected annual living costs, and then donating the rest to 501c(4)s and political causes. After Mr. Hunting’s study of psychodrama in New York City, he returned to Grand Rapids and was involved in acting with the Grand Rapids Civic Theatre before he started the Dyer-Ives Foundation in 1961. He remained in the heart of Grand Rapids until his next project, the Beldon Fund, took him back to New York for several years. The Dyer-Ives Foundation was founded by Mr. Hunting to support the development and improvement of the center city region of Grand Rapids, Michigan. His father, Mr. David D. Hunting, was one of the founders of the Steelcase Corporation, and had set up a stock holding for each of his children. Mr. Hunting used his income from the stock to fund the Dyer-Ives Foundation (named for his grandmothers), and later the Beldon Fund. As a native of Grand Rapids, Mr. Hunting felt the desire to revitalize the downtown area, which was becoming increasingly vacant and appeared to be on the decline. Mr. Hunting stated that he believes a strong downtown community promotes both business and culture, and is key in developing a connected community. The Dyer-Ives Foundation continues to be active in Grand Rapids, and is located in the center of downtown. The Dyer-Ives Foundation makes grants to support social, educational, environmental, and cultural development within Grand Rapids. Projects funded over the years include a variety of neighborhood association programs, development of community parks, affordable housing initiatives, local health and social services, and environmental preservation (1). Mr. Hunting launched the Beldon Fund (operating out of New York) in 1982 in response to federal government inaction regarding environmental protection. Mr. Hunting is passionate about environmental issues and influencing public policies on the topic. The Beldon Fund began to distribute between $300,000 and $400,000 annually through grants to grassroots organizations. When Steelcase went public in 1998, Mr. Hunting sold his stock. The Beldon Fund was then restructured with a newly recruited board of directors and an executive director to handle a gift of $100 million of Mr. Hunting’s stock profits to be spent out within 10 years. By the end of 2009, the Beldon Fund had distributed $120 million to support public works and policies designed to protect the environment (2). Mr. Hunting favors a spend-out structure for several reasons. He believes that it parallels the sense of urgency associated with the social problems that he aims to combat through his philanthropic efforts. Secondly, it forces the foundation to be as maximally effective in the present as possible, without the pressures that come with sustaining an organization over the decades. This strategy also allows him to see the effects of his philanthropic efforts during his lifetime. Mr. Hunting was interviewed regarding his insights and experiences in working with Michigan’s philanthropic community and the Our State of Generosity (OSoG) partners. The following are selected quotations from his interview specifically related to the five organizing themes of the OSoG project.